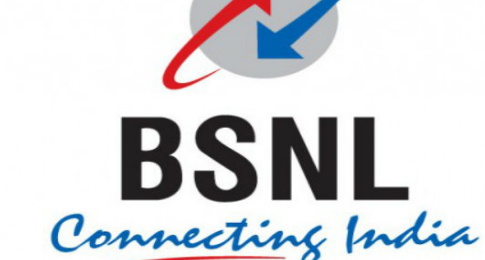 BSNL is one of the leading telecom operators in India which has come up with a new initiative to partner with the Tata Communications to provide Wi-Fi connectivity across the globe. A total of 44 million hotspots will be provided under this project by BSNL throughout the world. With this BSNL initiative, customers will be able to access Wi-Fi hotspots on an international level. Data access at high speed and unlimited bundles will be provided to the subscribers at very competitive rates which will be fixed as per usage depending on the validity period of the packages. The prices of such Wi-Fi packs will start from as low as Rs. 999. Customers with recharging their BSNL connections with Rs. 999 will get unlimited data and internet connectivity in foreign countries for 3 days or 72 hours. There will be no restrictions on the usability and all the service charges are included in the pack. This pack is ideal for those who are on business trip of two-three days. This plan has the validity of 15 days and is inclusive of all taxes and service charges. It is recommended for the vacationing and holidaying groups who need data access internationally. This is a 30 day validity pack by BSNL with all charges inclusive. Customers can recharge this pack is their stay period is longer and want unlimited, uninterrupted data access for a month without paying huge bills. The BSNL customers will have to install the BSNL application on their mobiles before activation of any of the above mentioned Wi-Fi plans. Through this mobile application, they can select any of the plans. If the customer is having a prepaid connection of BSNL, then one can use their credit/debit card, net banking or other payment wallet for recharging the packs. In case of postpaid connections, the amount will be charged in the next mobile bill. After the plan activation, the customers will be able to track the locations of the Wi-Fi hotspots through that mobile application. Around 44 million hotspots will be available for them internationally. While connecting with a particular hotspot, they will go through OTP verification. Why these plans are beneficial for foreign travelers? At present days, almost all need internet connectivity and data access while they are travelling abroad. May be for checking e-mails, accessing Facebook, GPS navigation and others, they need reliable and fast connectivity. Hence, BSNL has teamed up with Tata Communications which has their network presence in nearly 240 countries across the globe, to satisfy the needs of their valuable customers. Often those who travel abroad get shocking bills from their mobile operators due to their international data usage. With activation of any of the plans as per their requirement, the customers will not have to pay anything extra as all charges are inclusive in those packages.